So a few things about myself. 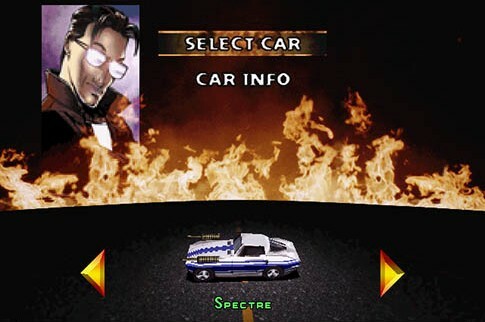 I first started playing games in elementary with Twisted Metal. I loved playing that game and I still have the God Mode code to Twisted Metal 2 memorized (as well as homing napalm ^_^ ) and I still love playing it. My next big game in my life was Prince of Persia: Sands of Time for the PS2. I very thoroughly enjoyed that game to the point that I would play if for such extent periods of time (like 6 hours) that my eyes would be killing me from not blinking. My last two games before my launch into MMO’s were Neverwinter Nights and Jedi Academy. Both were awesome games and I found myself really getting into the story of the games esp. Neverwinter. In Neverwinter I played the Monk and rolled with the monk companion. It was a place just steam rolling all over everything that our fists met. Finally, I went to college and met my roommate (Chipchops) and now best friend and he introduced me to WoW. I was still finishing up all the expansions for Neverwinter when we met and I was determined to beat them before converting. Once I did, I never looked back. I loved playing WoW and my shaman pwned all he saw with red over its head. I played enhance because I loved the melee/caster hybrid. I played him fairly well but never to his full potential because I couldn’t keep up with all the totem laying. Then came the Death Knight! I became a death knight fanatic. I loved the instants and the heavy armor and the heals. The minion was my favorite tool and became quite adapt at using him. I also fell in love with the aoe tanking style of frost, tanking all the heroic dungeons and a few weekly raids. I will never forgive Blizzard for taking frost’s tanking ability away. I played to 85 in Cataclysm but it never felt the same. Inevitably I gave up and tried a few other games. I tried Lotro because of Geld and enjoyed the story but I could not get used to the slower pace. Then I tried DCUO. IT WAS A BLAST! I loved playing but because of all the glitching and the lack of friends to play with, I lost interest. Then I went back to WoW because it was at least the pace I enjoyed but still felt sad. There was no true game for me…at least not yet. /singing the star wars theme with dum’s and da’s. Star Wars: The Old Republic was something I had been watching for about 2 years and as I write this, the release is only a couple weeks away. I’m as giddy as a school girl who just held hands for the first time with the cutest boy on the playground. For the longest time I had no idea which class to play. First I wanted to play the Jedi Knight – Guardian to continue my love for tanking as well as fulfill my fantasy of being a Jedi (yes, I still pretend to swing light sabers around when I think no one is looking; casting and throwing fireballs is another favorite). But as I saw some of the ideas behind the classes, I wanted to play all of them. The double-bladed lightsaber wielding Shadow looked epic (tanking style, of course), the smuggler looked fun (com’ on who doesn’t want to be Han Solo), and then the Trooper. The trooper caught my eye because he is just an average guy with lion’s share of heart and guts. Sounds like me…uh…without the guts so much though… ^_^ So I’m pretty sure that will be my main as I venture into the galaxy far, far away, and most of my posts will be centered around such game play. I plan to play as a Vanguard advanced class and will be tanking for pve content and will experiment with pvp tanking and tactics specs. Well, that’s my gaming career in a nutshell for you gals and guys (gotta be P.C. here). Here are a few other fun facts about me: in high school and my first year of college I was a cheerleader (male), that means I can do a standing back flip (well…I used-ta-could at least, gotta lose pounds first). In elementary, I was in Taekwondo and almost made black belt before moving to a different city; I still miss it. I used to want to be a Rapper then found out that I was too white (I still beat-box when no one is around). I am an avid Stargate: SG-1 fan, I have the complete box set of all ten seasons. I am married to the greatest woman on Earth and am sure to always bring out the worst in her…but she still loves me ^_^. I am a follower of Jesus Christ but I’m not very good at it. I love to think about philosophy…actually I love to think in general. I am always in my own little world…sadly they don’t like me much here. My man cave is my computer in a coat closet…I’m not kidding; it’s awesome. I work for an ADHD doctor and he later became my ADHD doctor but I don’t need my meds…I like my craziness. Umm, yup that’s about all I’ve got so I will write to you all again soon. Torvox, an ADHD riflem…THE MUPPET SHOW!